Would Quite Like: Stay up, beat Sunderland, have a normal season. Mmm, cornrows. Always a good look. Thoughts: For once, there isn’t too much drama at Newcastle. After a shaky start, Chris Hughton comfortably oversaw their promotion as Champions and the current squad looks equipped enough to survive their return to the top flight. Indeed many if the player responsible for relegation are still at the club but everyone is in a happier place and they should have more confidence having dominated the Championship. There isn’t much money to spend on reinforcements but there have been some good value signings in James Perch and Sol Campbell. Perch is a right back who can cover across the defence while Campbell showed in his cameo half season at Arsenal that he can still do a decent job at this level. His no nonsense approach and desire to win will stand the Magpies in good stead when the inevitable poor results occur. Harper is steady as you like in goal and with the likes of Coloccini and Enrique also off the back of good seasons the defence seems not too bad if potentially a little slow. In Nolan, Smith and Barton they have three midfielders who all have a point to prove in one way or another – if Barton really does play to the level he clearly thinks he’s capable of (if not everyone agrees) then Newcastle will have a very good player on their hands again. Perhaps the main concern is over goals will come from. You have Andy Carroll who had a good year but isn’t a natural goal scorer. In support there’s Ameobi, Lovenkrands, Xisco and some youngsters. Not good. A loan signing is certainly needed. So all in all they should be ok. It won’t be easy but they should stay up. But do old habits die hard? Are we just a short distance away from the next ridiculous story that could derail a season and only happen at St James’ Park? As I made my way to the Emirates yesterday for the final game of the season, I realised it had been over four full months since I had last seen Arsenal live. After a flurry of games from August till December, a combination of mid-season malaise as we stumbled in and out of the title race coupled with the usual difficulty of red members getting category A tickets meant my last match had been the Fabregas inspired victory over Aston Villa in late December. As a side note I found it had been generally quite easy getting tickets this season, there’s certainly been more availability than in previous years. Even as a red member I could have gone to pretty much every home league game (bar maybe Man Utd/Chelsea) had funds and being online when they went on sale allowed it. Yet when it came to a match such as Barcelona, all the silver members who couldn’t be bothered for much of the season instantly came out of the woodwork. Anyway I digress. As with every game, I had bought a month ahead at which stage we had clawed our way back into the title race for a third time. What followed were defeats against Spurs and Wigan which meant this game soon had the look of a meaningless fixture about it. 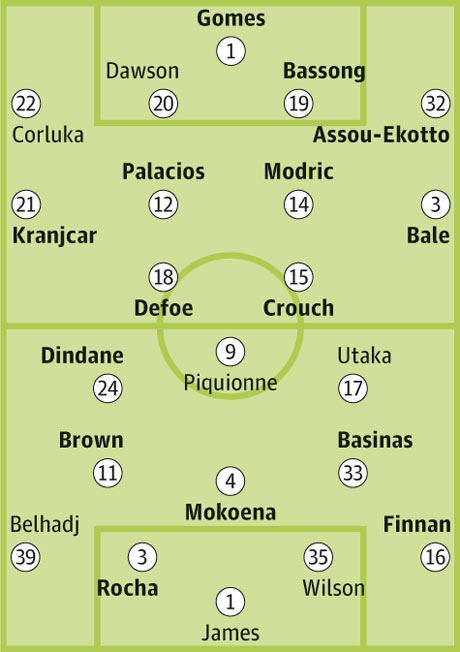 No matter, it would still be a decent game to watch and a win was likely given Fulham’s pressing Europa League final this Wednesday. I arrived earlier than usual, my timings slightly misjudged and soon found my clothing not adequate enough for the unseasonally low temperature. Given the anticlimactic nature of the game, there were no end of season promos or gimmicks before the game; only Sol Campbell receiving his deserved player of the month award and some man getting a £4,000 watch for predicting the fastest goal at the Emirates this season. As I settled into my nosebleed seat behind the goal (right in the middle but row 32 of 33 in the upper tier) the line-ups were announced. There was mild booing behind me for Fabianski and Silvestre which wasn’t too much of a surprise but it seemed like booing for booing’s sake. It was pleasing to see the likes of Kieran Gibbs and Johan Djourou fit again on the bench while our remaining fit first teamers picked themselves. Arsenal were shooting towards me in the first half and started brightly, immediately setting up camp in Fulham’s half. Nasri was charged with keeping things ticking over and he ensured a good tempo, regularly beating a man before laying it off while Theo was causing problems for Shorey with his pace. The atmosphere was average, with even the red action singing corner strangely subdued. The smattering of empty seats here and there didn’t help but it felt like what it was – a game which didn’t matter. There was the usual ‘stand up if you hate Tottenham’ before Fulham initiated a united ‘stand up if you hate Chelsea’. On the pitch the first goal soon came after a mistake by Mark Schwarzer. He tried to play it out, mis-controlled it allowing Arshavin to nick the ball. He went past the big Aussie and with Van Persie screaming for the ball to be laid off for an easy tap in decided instead to shoot from a tight angle. It went in off a defender and Arsenal had the lead. I don’t think Robin was best pleased at Arshavin’s greediness there and it seemed like he spent the rest of the half trying not to pass to him. 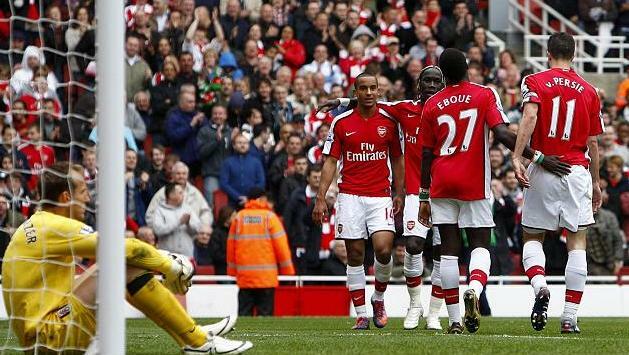 Van Persie soon got his goal, firing in from close range five minutes later after an initial good save by Schwarzer. Theo proceeded to miss a sitter, before setting up the third by drilling in a right-wing cross which went in off the unfortunate Baird. By this point attention was drifting, the game was won and people were curious to know the Chelsea, Man Utd and Spurs scores. There was some ironic cheering every time Fabianski made a catch (he had flapped at one early on) while I was entertained by a son quizzically asking his dad why people were cheering the Pole like that. “Because he’s not very good” came the reply. 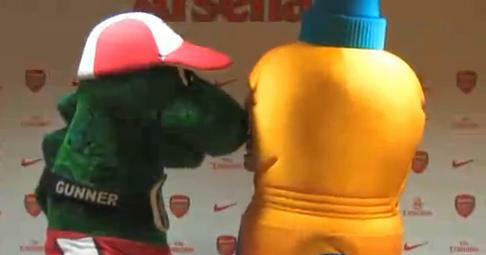 Half time came and went; the ‘highlight’ being a bizarre race between Gunnersaurus and a giant Lucozade bottle. It was that kind of day. Gunnersaurus won and I thought he perhaps should have raced Silvestre in the second half to make things interesting. 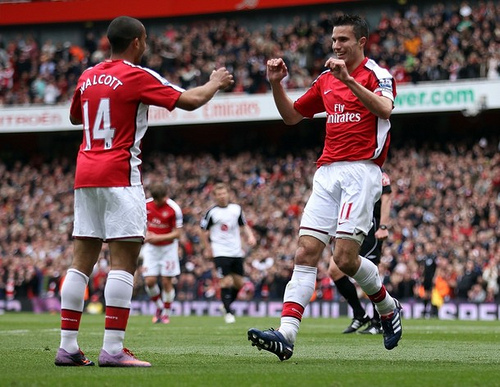 The second period was particularly flat – Fulham weren’t trying and neither were Arsenal. This would have been more interesting. Substitutions started to break up the game. Silvestre went off injured and got the warm applause befitting his final appearance. Djourou was equally well received in his place, as much for his return from injury as being the man who takes Silvestre’s place next season. Despite Gibbs warming up for most of the second half, he failed to get on the pitch. Carlos Vela did however and he added a nice fourth goal, chipping Schwarzer in a style reminiscent of his Carling Cup highs in 2008/09. It was his first league goal this season and it probably says a lot that it was in a match with no pressure. I do wonder what his future holds. If anyone deserved a lap of honour he did. Terry, Ferdinand, A. Cole, Johnson, Brown, Upson, Bridge. Lampard, Gerrard, J.Cole, Young, Beckham, Hargreaves, Wright-Phillips, Barry. Rooney, Walcott, Heskey, Crouch, Defoe. 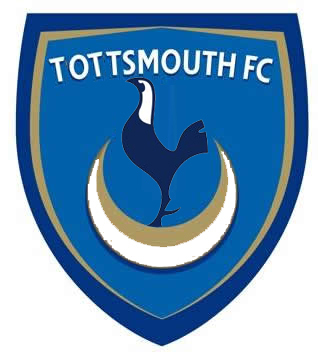 Terry, Ferdinand, A. Cole, Johnson, Upson, Brown, Lescott. 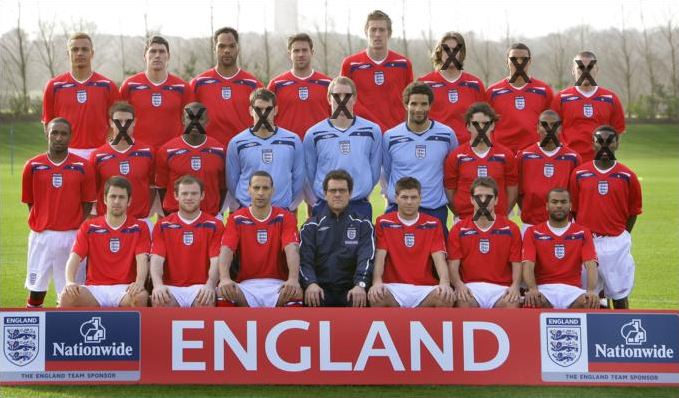 Gerrard, Lampard, Barry, Hargreaves, Milner, Beckham, Lennon, J. Cole. Rooney, Heskey, Defoe, C. Cole, Walcott. So, what’s changed since then? Quite a lot since you ask. We’ll start with Goldenballs himself David Beckham. A shoo-in for the squad if fit, he injured his Achilles in the last-minute of a Milan league match and will not be fit in time. He’ll still be going to South Africa, but purely as a cheerleader. I think Fabio Capello would sooner pick his mum for England than Michael Owen but he’s been saved the hassle of having to explain to the press why it wasn’t going to happen as Owen is out injured too. 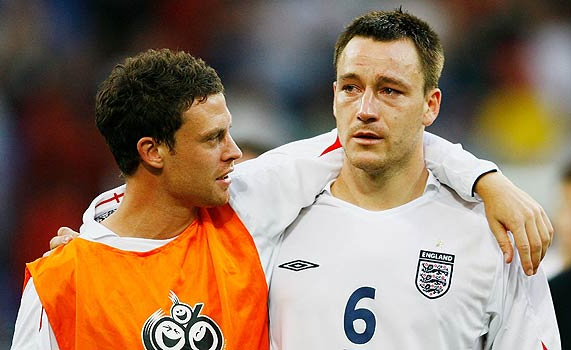 In my last preview I had doubts over Wayne Bridge going just to the low likelihood of needing a second left back but now he won’t be going due to John Terry’s assertion that the role of club and country captain allows you to shag your best mate’s fiance and then pay her to get rid of the consequences. 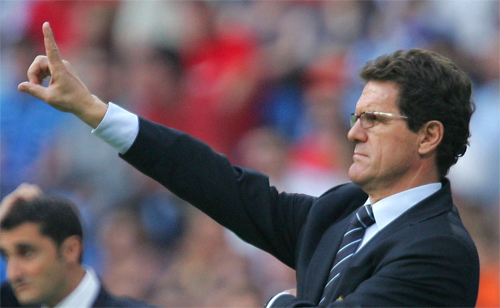 Capello harbours hope that Bridge may change his mind but he won’t. Capello's first squad. How things change. Five months ago David James looked certain to be first choice but a succession of niggly injuries and a relegation battle with Portsmouth seems to have given a chance for Rob Green. There’s no doubt in my mind James is still better but it may come to whether he can play seven games in a month. Either way both go. The third spot is now clearly Joe Hart‘s after a great season at Birmingham. He won’t play but I imagine it’s to give him experience ahead of him becoming the first choice for the Euro 2012 campaign. This is the least interesting position in terms of uncertainty; barring injury those three will 100% go to South Africa. 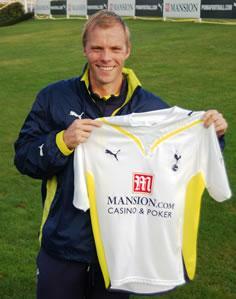 Next in line would be Paul Robinson I reckon but the less we think about that the better. The first choice back four pick themselves and they should all be relatively fresh given their various injuries this season. Yep Ashley Cole, Glen Johnson, John Terry and Rio Ferdinand being fit are key to England’s hopes (along with Rooney of course) given how poor the back up is. The drop-off in each position is quite worrying and none of the backups really strike me as being international quality. Matthew Upson is still the go-to centre back if one of the main two go down. Joining him will be Joleon Lescott who can provide cover at left back and probably Wes Brown who can provide cover at right back. It’s a scary thought if either of those two have to play full back – can you imagine them trying to stop a Ribery or a Messi *shudder*. The more I think about it the more I believe it will be seven defenders only, especially when you can call on certain midfielders to provide cover too. Barry, Milner, Carrick and Gerrard have all played defensive positions adequately. Desperately hoping for an injury or two will be Phil Jagielka who is certainly next in line. Should Capello go a bit cautious then Leighton Baines will now be the second left-back while shockingly, and mainly due to lack of any other alternatives, Gary Neville would go if Johnson was crocked. Ryan Shawcross has been looked at but the fallout over the Ramsey tackle has put paid to his hopes. Michael Dawson? Perhaps but I doubt it. 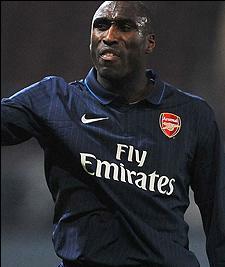 A couple of interesting wildcards would be Ledley King and Sol Campbell. When fully fit the former is probably better than Terry but he’s rarely fully fit. 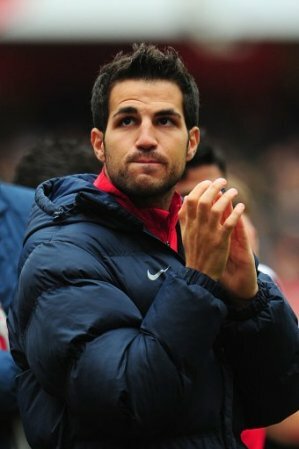 The latter meanwhile has been a revelation since rejoining Arsenal in January. As backups they wouldn’t have to play every three days but I guess the risk is that if Terry or Rio were badly injured then they would be needed more often than they could handle. Still though, it could be worth a gamble. No longer friends, no longer teammates. Again we’ll deal with the first choice guys first. 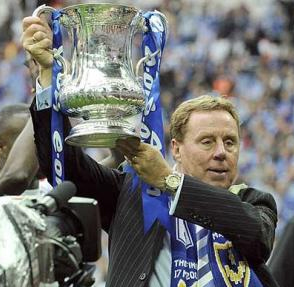 Frank Lampard, Steven Gerrard and Gareth Barry have been there and done that. All are super experienced and in the team. Beyond that it starts to depend on who the opposition is. James Milner has gone from nowhere to possibly challenging for a place in the first XI. Aaron Lennon should regain fitness in time to take a right-wing spot against weaker sides, while the fact Owen Hargreaves still isn’t fully fit means Michael Carrick will be the nominal defensive midfielder. That’s the Michael Carrick who has been found out against every top side he’s faced this season. If I had written this two months ago Theo Walcott would probably not have been going but he’s recovered form well in the preceding time. You still feel his one weapon is pace though. 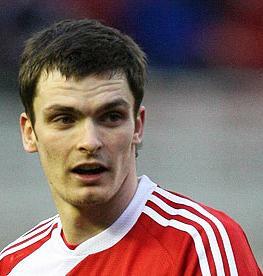 Stewart Downing seems to be the only left winger under consideration but I haven’t really been that impressed by him. Joe Cole is desperately trying to find some form in Chelsea’s last few games – he’s under great risk of not going but at the same time he has skills which no other English midfielder has. It may well come down to a straight choice between him and Adam Johnson, who has been excellent in his three months at Man City. The one thing against the latter is the he normally plays on the right (even though he’s left-footed) and there’s already Lennon and Walcott in the squad. That said Beckham would still have gone if fit so there’s no reason why Johnson can’t be a third option on the right as well as one on the left too. It could come down to the next friendly. Shaun Wright-Phillips wasn’t in my squad last time I did this and he won’t be in this one either, despite Beckham’s injury opening a spot. Johnson has usurped him at club so no doubt he will at country. Plus it may also be that Wright-Phillips is a bit average. Sorry Ian. People knocking on the door marked injury backups? Hmm, Tom Huddlestone has had a decent season at Spurs as a central midfielder with centre back skills but I think Jagielka would sooner go as a centre back with central midfielder skills. Ashley Young just doesn’t seem to be liked Capello as for my money he’s better than Downing but is very much on the fringes. There’s a real dearth beyond that. Jack Rodwell? Scott Parker? Lee Cattermole? Your guess is as good as mine. Johnson and Cole? Just one, not both. I think it’s still very much four strikers plus Walcott as a fifth forward. Wayne Rooney is so important it’s unbelievable. If he gets injured you’re probably looking at a second round knock-out. With him fit it’s at least the quarter finals woo! Anyway, he’s first name on the teamsheet. 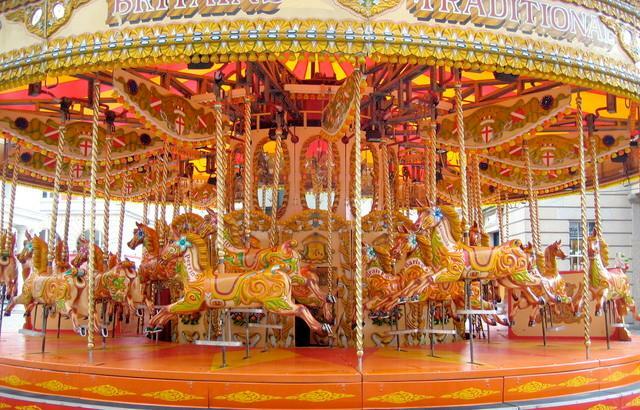 Emile Heskey is under a lot of pressure right now. Obviously the point of Heskey isn’t goals but how he enables others (like Rooney) to play better – the thing is though that there’s only so poor a season someone can have before you have to look at alternatives. He should be fine, I think. Jermain Defoe is an impact striker – not good enough for 90 minutes but capable of being a 25 minute nuisance. Peter Crouch will need to make sure he performs well in the next squad get together as Bobby Zamora looks set for a call up ahead of the final friendly. Zamora perhaps is more of a replacement for Heskey in terms of skill set and what he’d give the team but Crouch should be concerned too. Carlton Cole would go if Defoe was injured, while Darren Bent would go if Cole and Defoe were unfit. Gabriel Agbonlahor doesn’t seem to be on the radar and rightly so. Ferdinand, Terry, Johnson, Cole, Brown, Upson, Lescott. Gerrard, Lampard, Barry, Milner, Carrick, Lennon, Walcott, Johnson, Downing. After the highs of a 145 point week 22 came a somewhat disappointing gameweek 23, where I scored a bang on average 37. Whilst I had a full team playing, there were no Chelsea players in my side and none of my six attackers got more than four points. It was my fourth worst performance of the season, judging by how many people scored more (1,033,779 no less). Anyway, there’s still a lead in my private league so I won’t dwell too much. A couple of blocking transfers and things should be tasty this week. Four teams play twice, most significantly Chelsea so it’s probably time I overcame my yearly aversion to having Fat Frank Lampard in my team. Maverick's thinks he overpriced but begrudgingly gives Fat Frank thumbs up. Frank Lampard has found some form whilst Didier Drogba and scored two goals for the second week running. This time he added an extra bonus point and clean sheet for a total of 16 points. That’s 30 in two weeks but lets see how he gets on once Drogba returns to the team against Hull in midweek. Elsewhere it was all about the midfielders last week with Cahill getting 14, Malouda and Gamst Pedersen scoring 13, and Lee of Bolton getting 10. 1. 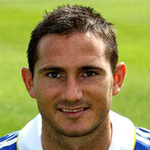 Lampard/Chelsea – Four goals in two games and plays twice this gameweek against Burnley and Hull. Can’t say fairer than that. Drogba’s return against Hull might impact returns from the second game but overall you’ll be hard pushed to find a better captain option this week. Anelka’s a slightly riskier option. 2. Tevez/Man City – After three straight man of the match awards, the little man only scored 2 points against Everton in gameweek 23. A midweek Carling Cup goal suggests he’s still in form and a home game against Portsmouth should see a good return. 3. 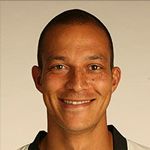 A Fulham defender – Home games against Villa and Portsmouth. They’ve struggled a little with the injuries they’ve suffered but are still a formidable outfit at Craven Cottage. Hangeland is the obvious choice but Baird or new Man Utd signing Smalling are cheaper alternatives. 1. Wigan and Fulham players – Both sides have four home games in the next five. 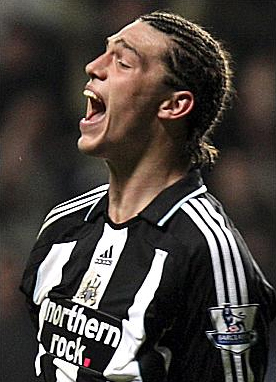 Players like Rodallega, N’Zogbia, Zamora and Duff should be on your radar. 2. Campbell/Arsenal – If his two recent games are anything to go by then he’s in pretty good shape. Vermaelen hasn’t got a broken leg after all but you’re never far from an injured defender at Arsenal so he’s one to keep in mind. 3. Wilshere/Bolton – The precocious Arsenal teenager has joined Bolton on loan till the end of the season. He hasn’t quite made the appearances expected this season but the loan should provide him with a ‘finishing school’ as Wenger put it. Only £4.3m, he could be a good 5th midfielder. 1. 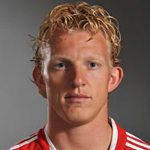 Kuyt/Liverpool – My latest vendetta. Avoided him all last season when he was on fire and he’s become one of those players I just don’t really like from a fantasy perspective. I needlessly brought him in last week and he’s gone straight back out. At the end of the day, even though he’s playing up front right now you just can’t trust Liverpool. 2. Everton players – After this week face Liverpool (A), Chelsea (H), Man Utd (H) and then Spurs (A). Ouch. 3. Bent/Sunderland – He’s still great value but I worry how long he can do it on his own for Sunderland. After a promising start they’ve been in wretched form for about ten games now. Might be time to cash in?